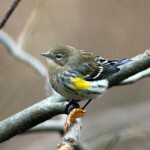 Description: Yellow overall; dark eye; yellowish-olive back, wings, and tail; yellow wing markings and tail spots. Male has distinct reddish streaks below. Streaks are faint or absent in female. Immatures are duller. The only overall yellow warbler in North America. Behavior: Frequently bobs its tail. 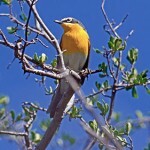 Habitat: Breeding birds prefer wetter habitats, such as brushy edges of swamps, marshes, or creeks. Also nest in roadside thickets, hedgerows, orchards, and forest edges. Tend to avoid heavy forests and grassy areas with no trees or shrubs. 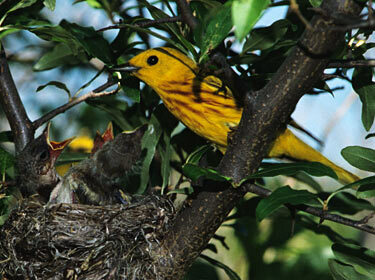 Fun Facts: Nests are sometimes parasitized by brown-headed cowbirds. 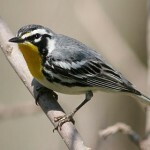 The adult warblers will simply build a new nest on top of the parasitized nest, often resulting in a mutli-layered nest.